Scientists have learned much through the study of animal jaws and teeth - diet, predatory habits, species & size to name a few. 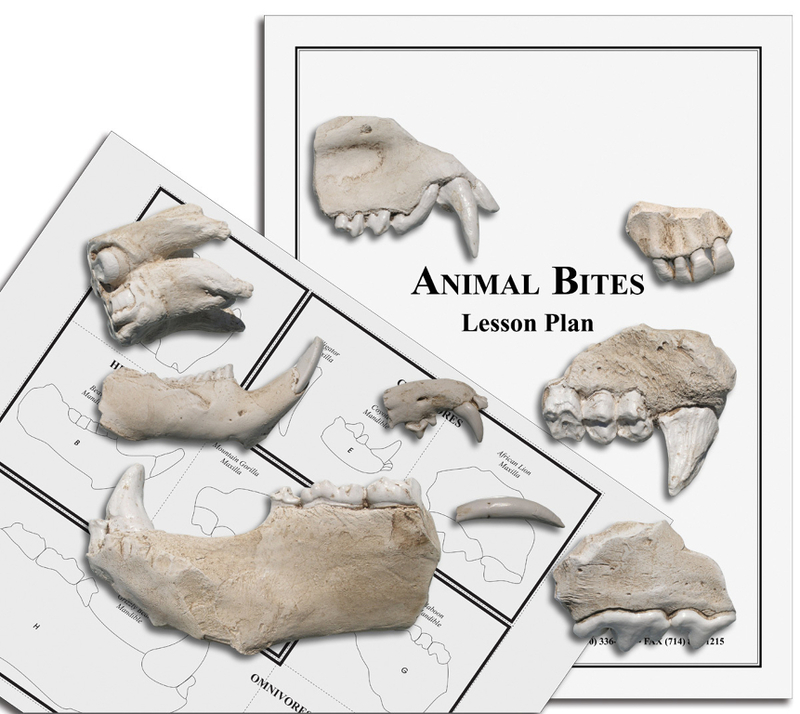 This Animal Bites kits brings the study of animal habits to a much more personal level. 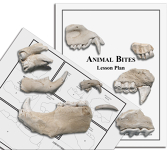 Each kit includes a fascinating collection of teeth and mandible fragments chosen to reflect the diversity of diet and behavior within the animal kingdom. Three samples from each of the major dietary groups - herbivore, carnivore and omnivore - have been handcrafted to bring realism to your workshop. This unique science kit is ideal for the exploration and teaching of the differences and adaptability that occur in nature, and functions as an exciting learning center perfect for individual or group instruction. *This kit is a nice complement to our Animals Inside Out exhibit.